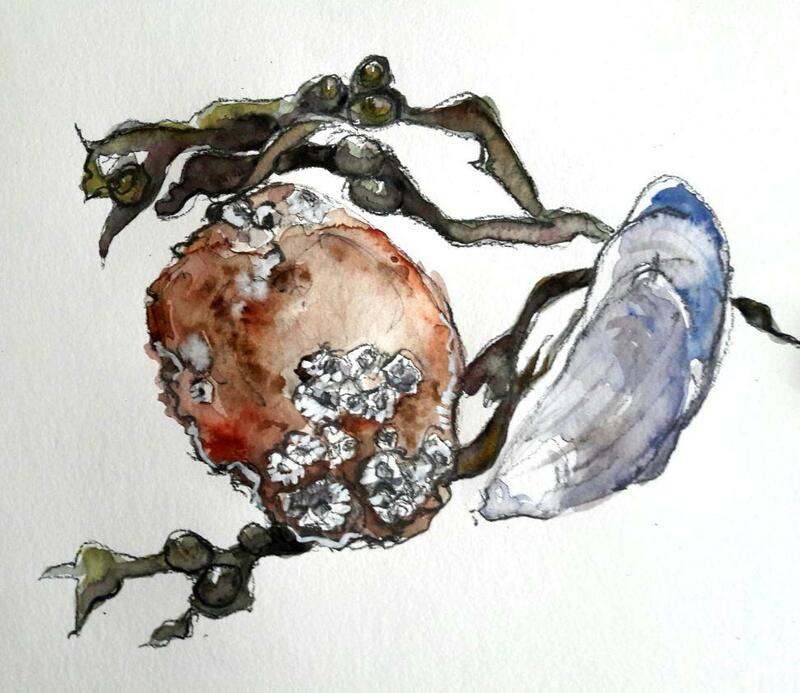 Crab shell, mussel and seaweed study. Graphite and watercolour on paper. A giclée print of this work will be available soon.